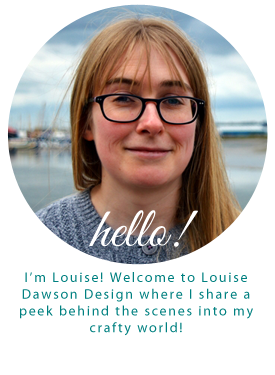 Louise Dawson Design: New collection- First finished piece! I'm excited to show you this sneak peak of how my new jewellery collection is progressing- here is the first finished piece! This Brooch is a combination of recycled fabrics (including Liberty prints) stitched together and then over printed, hand embroidered and embellished with beads and sparkly gems. I'm going for a really summery look with this collection, hope you like it! Next week I have a week off from the day job so I'm looking forward to working on these pieces lots. As always, I'll keep you posted!